as a mechanism to redistribute income. Direct taxation - taxation on income. Direct taxation includes income tax, profits (Corporation) tax and wealth taxes on inheritance. In principle, Direct taxes are removed from income before it is spent. 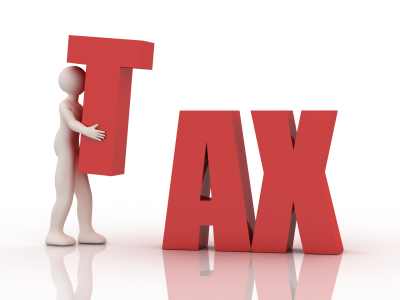 Indirect taxation - taxation on expenditure. Indirect taxation includes VAT and GST(sales tax) and customs and excise duties (tax on cigarettes, alcohol etc.). In principle Indirect taxes are taxes on spending. Syllabus: Distinguish between progressive, regressive and proportional taxation, providing examples of each. Taxes can also be classified according to their impact on different income groups. Taxes, which redistribute from better-off to less well-off groups, are called 'progressive' taxes. Those with an opposite effect are called 'regressive' taxes. Progressive tax - a tax that takes a greater proportion of a income as income rises. Regressive tax - a tax that takes a smaller proportion of a income as income rises. Proportional tax - a tax where the percentage of income paid in taxation always stays the same. The balance of these types of taxes will have a significant effect on income distribution in an economy. If a government chooses to switch the balance of taxation from progressive to regressive taxes, then the less well-off in society will be hardest hit. In general, direct taxes tend to be progressive and indirect taxes regressive (Can you see why indirect taxes are regressive - even though the tax rate may stay the same?). Governments with differing objectives will aim to change the balance of direct and indirect taxes. 'Right-wing' governments may choose to shift the balance of taxation from direct to indirect. They will argue that this is more efficient as it allows people to keep more of what they earn - providing greater incentive to work hard. Taxing people on expenditure is also seen as more economically efficient. However, a switch from progressive direct taxes to regressive indirect taxes will have an adverse impact on the distribution of income.